The Story: It felt like summer for two days this week. In the 90-degree temps, our winter oats mix seemed dowdy. 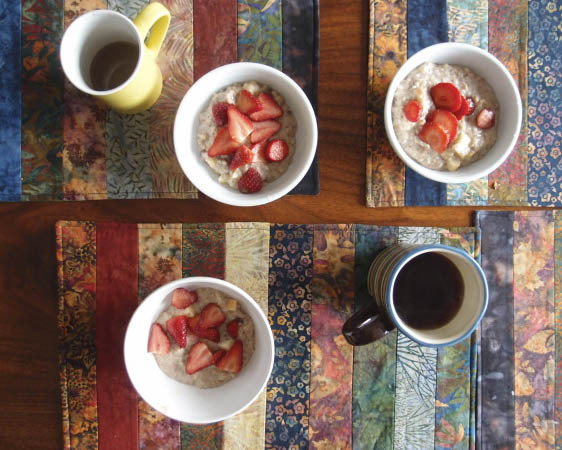 The season's first fresh strawberries (from California) made our oats more palatable in the balmy weather. The Workout: First open water swim of the year: four laps around the lake plus a few sprints for a total of 3k. Water temperature: 62. Air temperature: 90. The Instructions: Follow the directions on the McCann’s steel-cut oats can: “Into four cups of briskly boiling water sprinkle one cup of oatmeal, stirring well. 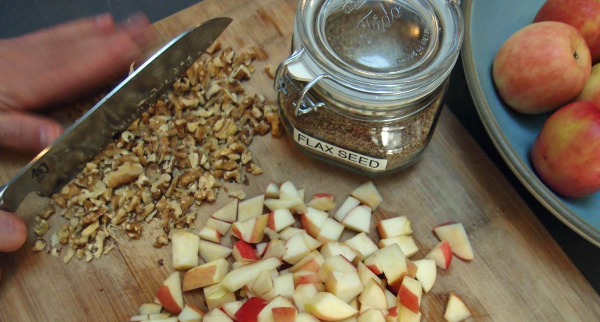 When the porridge is smooth and beginning to thicken, reduce heat and simmer uncovered for 30 minutes, stirring occasionally.” Stir in the apples, walnuts, and ground flax seeds just before serving. Top each bowl with a handful of sliced strawberries.